It’s that time of year again, you know – the kids are going back to school over the next two weeks, the evenings are drawing in. It is also the time that all of you crafters get to start planning new projects and maybe deciding to learn or improve your skills. To enable to you local folks out there I have put together a program of dressmaking sewing classes aimed at beginners and improvers. 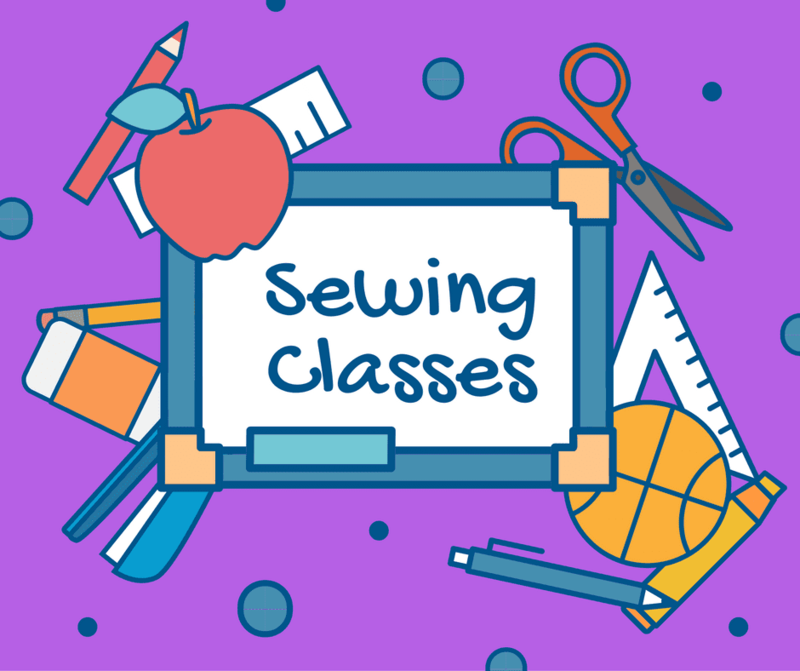 You can learn to use a sewing machine, make a tote bag, a t shirt, sew stretchy fabrics, make a pair of jeans, a dress for christmas. Whatever it is you want to do I will get you started on your journey. Its best to have your own sewing machine so you can figure out the settings and learn to use it to its potential but if you are a complete beginner and want to try and see if you might like it before you invest, we have a few spare basic machines that you can use. 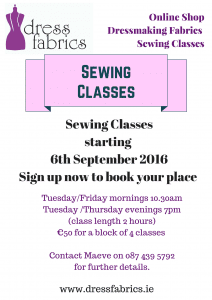 Classes are held here in Dress Fabrics HQ, on the main road between Kells and Oldcastle. You will have access to our full collection of patterns, notions and fabrics. However if you have your own stash (fabric collection!) already you are most welcome to bring that along for your projects! Places are limited to 4 per class to allow for space and attention and are filling up fast. Get in touch if you would like to book a place or for more details. Contact Maeve on 087 439 5792 for further details. I want to register for evening classes.